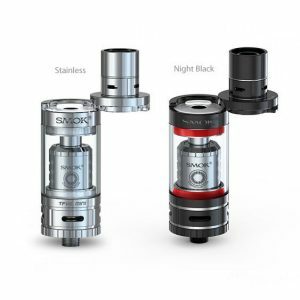 Smok pleases vapers with one more revolutionary product – the TFV8 Baby V2 tank. It is a thoroughly improved second generation tank coming with «V» carved on both the top cap and the base symbolizing a V2 version. This vape tank boats a better leak-proof system and a larger e-liquid capacity. Using the bulb glass, the TFV8 Baby V2 can hold up to 5ml of e-juice. It is 70% more than the first version was capable to offer! What is more, this vape tank adopts new powerful cores. The Baby V2 A1 coil ensures faster heating process and greater taste due to a large coil inside with a big piece of mesh covered the cotton. The Baby V2 A2 coil is designed with two holes inside and feature cobra mesh covered. For this reason, you get more airflow and thick vape clouds. As for the A3, it has 3 separate heating coils. Thanks to a combination of 3 larger airflow slots at the bottom of the tank, more air can be straightly brought in. That is why when you fire to vape, three coils heat simultaneously resulting in unprecedented massive vapor! Besides, instead of former organic cotton, this vape tank uses antibacterial cotton which theoretically can reduces the number of bacteria. The gasket has changed its position to the bottom of the top cap to prevent e-juice leakage. E-liquid refills are much easier and convenient because of a larger filling port. While due to a fire-new gold-plating 510 thread connector, the vape tank ensures better rub resistance and electroconductivity. 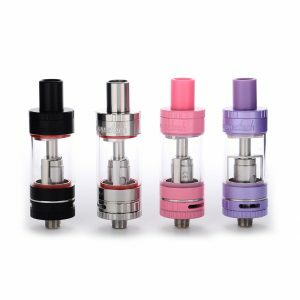 What is unusual and attractive, the high performing coils utilized in the TFV8 Baby V2 Vape tank are available in 3 colors making the tank look even more alluring. 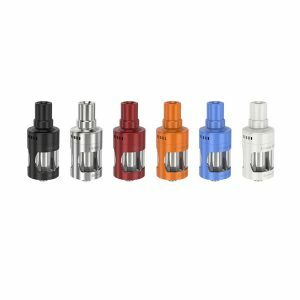 The drip tip comes in different color cobra design providing a wide appearance and excellent tactility. 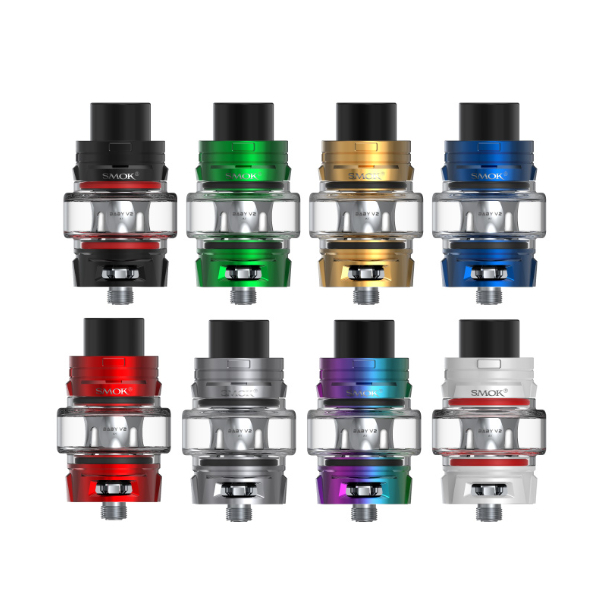 Being a new version tank, the TFV8 Baby V2 looks totally different from those former ones. It is decorated with “V” carved on the top cap and the base presenting a brand new style! Overall, the tank has an eye-catching appearance. You can choose from a wide range of color finishes. 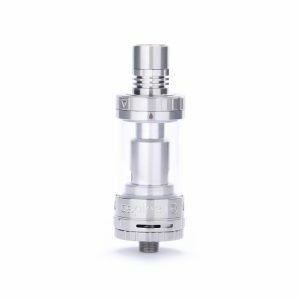 Be sure to try this classy looking and top performing vape tank!